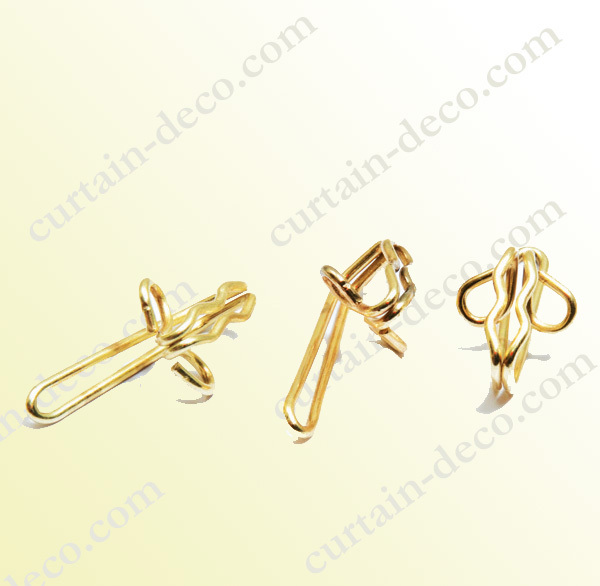 DESCRIPTION：curtain brassed hooks,curtain pleat hooks, brassed steel R7 type hooks. PACKAGE：200pcs per polybag 100pcs per ange col box. Package: 200 pcs or 1000pcs per polybag, or packed by color boxes.